—We like to talk about ourselves. 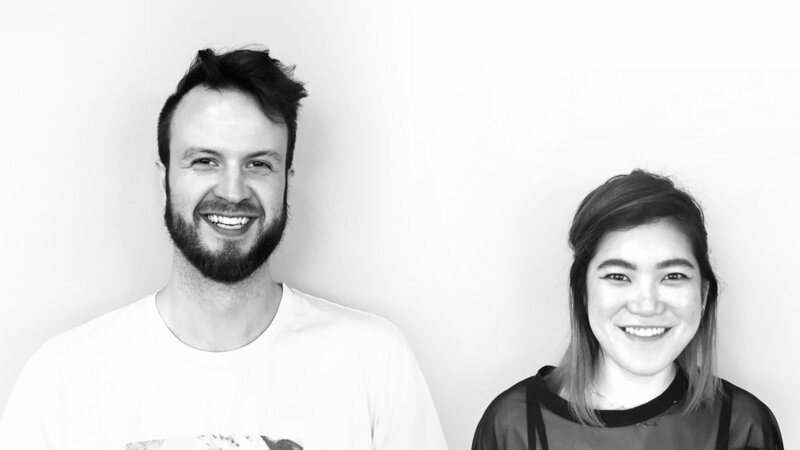 Jack Railton-Woodcock and Huei Yin Wong are a creative team from Melbourne, Australia. Huei is the art director and Jack is the copywriter, although Huei is pretty good at headlines and Jack is pretty good at photoshopping people's faces onto other things. We met in AWARD school and have been partners ever since. Jack went to college in New York City, dunked a basketball in Madison Square Garden, and is on a quest to become the tallest man in advertising. Huei likes to travel to unpopular countries, has a giant tattoo of a dead bird, and once spent ten days in meditative silence. Cadbury, Ford, AGL Energy, L'Oréal Paris, Maybelline NY, University of Melbourne, Tigerair, AAMI Insurance, Australian Unity, Hostplus, Bendigo Bank, King Island Dairy, Bakers Delight, Victorian Responsible Gambling Foundation, the Victorian State Government, kikki.K, V/Line, Hard Yakka, Metro Trains, Maurice Blackburn, and OCRF. We're always trying to find new ways to tell stories and make cool things. Some of our work has received recognition at award shows (Spikes, ADFEST, AdStars, etc) which our mums are extremely proud of, but we know we can do better.